The Mystery Hour – Springfield MO’s late night talk show! I’m so excited that Season Three of The Mystery is finally ALL on youtube! Joining the sketch-writing team this year has been one of the most hilarious, fun, rewarding experiences of my life! Here is my very first sketch I’ve ever written along with the talented Sarah Jenkins. It’s about what it’s like to 30 and married versus 30 and single. To see The Mystery Hour on your tv, set your DVRs for FOX KRBK Saturdays at 9:00pm! 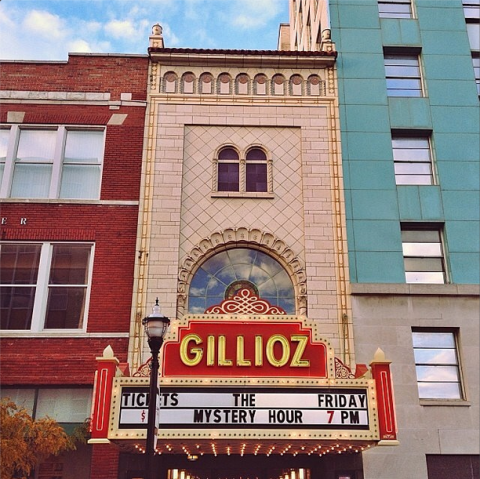 Or come see a taping at the historic Gillioz theatre on First Fridays. Starting again in September!